WASHINGTON (CNS) — One of Julek Plowy’s first memories as a young World War II Polish refugee in Mexico is eating raw onions like an apple while sitting on a swing. “My mother was told by the doctors it was to improve my health,” Plowy, now 78, recalled. Plowy was 3 years old then. It was 1943. 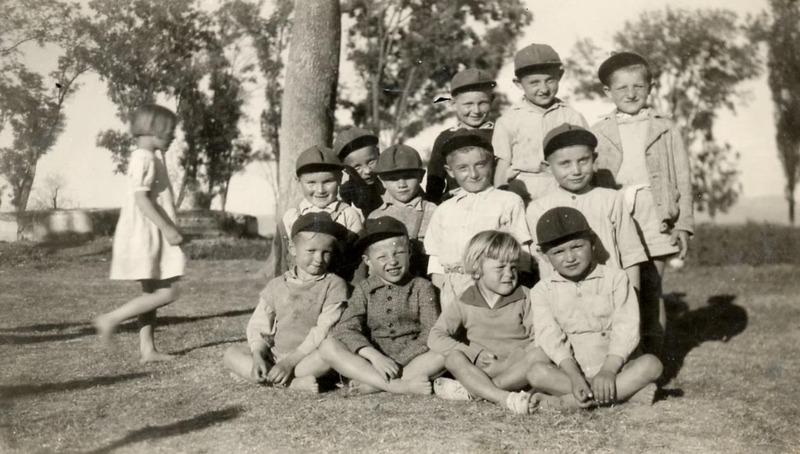 He, his mother and older sister, were among 1,432 Poles who were resettled in Colonia Santa Rosa in Leon, Mexico, following a harrowing period in the Soviet Gulag during the war. 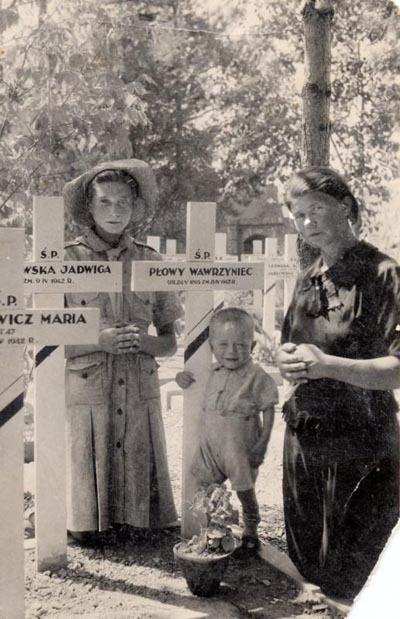 The Poles were the first people aided by the fledgling War Relief Services, which was started in 1943 by the National Catholic Welfare Council of the U.S. bishops in response to the human suffering wrought by war. Today that organization is known as Catholic Relief Services — its name was changed in 1955 — and the U.S. bishops’ 75-year-old overseas aid and development agency continues to assist people in need around the world. Plowy (pronounced PWO-vih), now of Highland, California, and the grandfather of four, said if it hadn’t been for the work of the agency to build trust and root its work in the Gospel for the devoutly Catholic Poles, he’s not sure if the refugees would have ever regained belief in the goodness of humanity. Efforts to establish trust has been a hallmark of CRS’ efforts since the beginning, said Sean Callahan, president and CEO of the agency. He said CRS staff works to build trust in local communities by making sure representatives of the individuals being served are heard so that programs address real needs. In the case of the Poles, the effort evolved to address the needs of people who experienced the atrocities of World War II. While situations since have differed, the work remains the same: addressing human need and respecting human dignity. In Plowy’s particular case, the work helped his family adjust to their new reality and eventually make their way to the U.S.
Plowy has worked for 25 years to preserve memories of the refugees’ time in Santa Rosa and their vexing journey that began in 1940 as they were forcibly removed by Soviet forces from their homes in Poland until they eventually were welcomed to countries around the world. In a telephone interview with Catholic News Service at CRS headquarters in Baltimore, Plowy credited the professional staff of War Relief Services, a small crew of American Felician sisters — with Polish roots in the 19th century when Poland did not officially exist — and the Mexican families that welcomed the bewildered refugees for providing a chance to live a life in peace, trust and security. “In Mexico, we were met with a band and people in good clothes and wishing us happiness. We were overwhelmed,” Plowy recalled his family telling him of their arrival. “We didn’t expect anything. All we expected was just a little peace from the war. We had no expectation except hopefully we wouldn’t have to hide from the bullets and we waited for Poland to be free. We understood we would be going back to Poland when Poland was free,” he said. The family never returned to Poland. Plowy and his brother Tadeusz, 17 years his elder, visited their home village in 2002. They found that Tadeusz’s recollection of street names, schools, the church and even some families were accurate. The story of Plowy’s Catholic family is typical of the estimated 2 million Poles relocated to the Soviet Union, largely Kazakhstan and Siberia, in 1940 and 1941. Plowy doesn’t recall much until he arrived in Mexico. His mother, Josefa, was seven months pregnant when the family, including his sister Helen, was given 20 minutes on Feb. 10, 1940, to pack a few items and board a cattle car on a train to the east. He was born in the squalor of a work camp. Over the years, Plowy has assembled his family story through conversations with his mother and siblings and written recollections of other displaced Poles. His father, Wawrzyniec, was unable to contribute; he died of typhus in Tehran, Iran — two days after Plowy’s second birthday. The family had walked to Tehran after being freed and were on their journey to a still unknown destination in 1942. When the war started, the Plowys were living in Nehrybaka, Poland, a farm village just southeast of Przemysl near the border with Ukraine. The family grew sugar beets and stored grain, and their orchard produced apples, pears and cherries. They raised cows, pigs, chickens, ducks and pigeons and sold produce, milk, eggs and animals, contributing to a comfortable life. Their world changed after the Nazi army invaded from the west and Soviet troops from the east in 1939. Soviet leaders removed ethnic Poles and some Polish Jews from eastern Poland and the Plowy family was among those who lost their household and livelihood. Plowy said that relatives in western Poland, under German control, were not removed. Plowy has no memories of his family’s two-and-a-half years in Siberia. He later learned that life was difficult: the Poles had few possessions, performed hard labor and even hid food. In 1942, an agreement between the Polish government-in-exile and the Soviet Union opened the door for a type of amnesty that allowed the Poles to leave Siberia. The Plowys traveled on foot to Iran. They eventually boarded the USS Hermitage in Mumbai, India, that brought them to the U.S. after a stop in New Zealand. An account by Eileen Egan, the prolific CRS writer, in “Catholic Relief Services: The Beginning Years” chronicled the refugees’ arrival in California. Polish leaders petitioned President Franklin D. Roosevelt in advance to allow them to stay in the U.S. because the country’s large Polish-American community could provide much-needed support and assistance. Roosevelt refused, however, saying labor unions would complain that the newcomers would take jobs from Americans. A deal eventually was brokered between Polish Gen. Wladyslaw Sikorski and Mexico President Manuel Avila Comacho to accept these displaced Poles. Countries, including the U.S., provided financial assistance. The first group of 706 Poles were housed in Santa Anita Park, a horse tracing track in Arcadia, California, east of Los Angeles, that had been used for various purposes during the war. They eventually boarded a train to their final destination in Mexico. The windows of the train, Plowy later learned, were blocked so the Poles could not see where they were going. The practice resurrected memories of the forced displacement to Siberia. Changing trains in El Paso, Texas, the weary Poles arrived to a gracious welcome in Leon in July 1943. The refugees were housed in an unused school building at a former hacienda that was renamed Colonia Santa Rosa. A second contingent of 726 followed Nov. 2. For his part, Plowy found his time at Colonia Santa Rosa enjoyable. Seven Felician sisters — formally, the Congregation of the Sisters of St. Felix of Cantalice — taught Polish, English, math and other classes. Recreational activities, games and trips to a local pool helped kids become kids again after years of harrowing experiences. The Plowy family had friends in Paterson, New Jersey, and moved there in 1947. Plowy recalled being a troublesome child and his mother felt a male role model would help her son. They moved to Buffalo, New York, where she remarried. It was a mistake because the man was an alcoholic. But there, Plowy enrolled in Catholic school and even entered a high school seminary for a year. “But I found out I loved women,” he said. After graduation from St. Francis High School in Athol Springs, south of Buffalo, Plowy enlisted in the U.S. Marine Corps, serving from 1958 to 1962. Plowy returned to Buffalo, but a friend invited him San Diego and six months later he made the move, found work and eventually met his future wife, Theresa. He credited her for bringing him back to the regular practice of the Catholic faith. 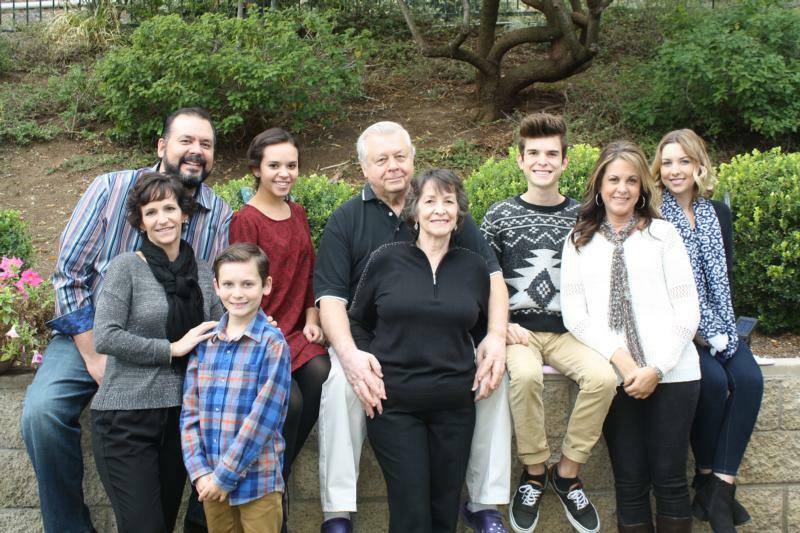 They have two children, Justine and Jason, and four grandchildren, all in Southern California. In retirement, Plowy has worked to chronicle the lives of the Polish refugees in the Gulag. He has uncovered photos, diaries and “autograph books” with recollections, drawings, poetry and messages of hope reflecting the difficult days in forced labor. He has compiled a database that he makes available to anyone interested in the history of the period. He also has shared his findings on his Facebook page (Julian Plowy) and with the Kresy-Siberia Virtual Museum, http://kresy-siberia.org/museum. After telling his story, Plowy shared a simple message about the work of CRS on its anniversary. He also reflected on the stories he has collected from the exiled Poles. He said the agencies involved in relief and development work are crucial, but that more effort must be made to prevent similar occurrences. “The thing I say to the world though, all these things that not only CRS does, but the Catholic Church, etc., are Band-Aids on a problem, an illness, and the root cause in the world is not addressed — to root out the evil that a small portion of people do. He said he hopes that sharing what he has learned can help the world accomplish that.